For many people, owning their own thriving business is the American Dream. However, there is a lot of unseen work that goes into getting an idea off the ground. There is even more work to start turning a profit in a retail or ecommerce setting. One of the core elements to establishing a successful business is clear, consistent marketing. In today’s cluttered digital landscape, it can be hard for solopreneurs and small business owners to make an impact without spending beyond their means. Currently, one in five small or medium-sized businesses doesn’t invest in any kind of marketing. 1 in 5! In the United States alone, that means that those businesses are missing out on more than an estimated 290 million internet users. This number is only expected to grow. Given the rise of social media and mobile-first marketing, it’s become more important than ever to stay on top of the latest trends in technology and marketing. The good news is that there are a slew of tools and processes available to leverage the internet, regardless of budget. 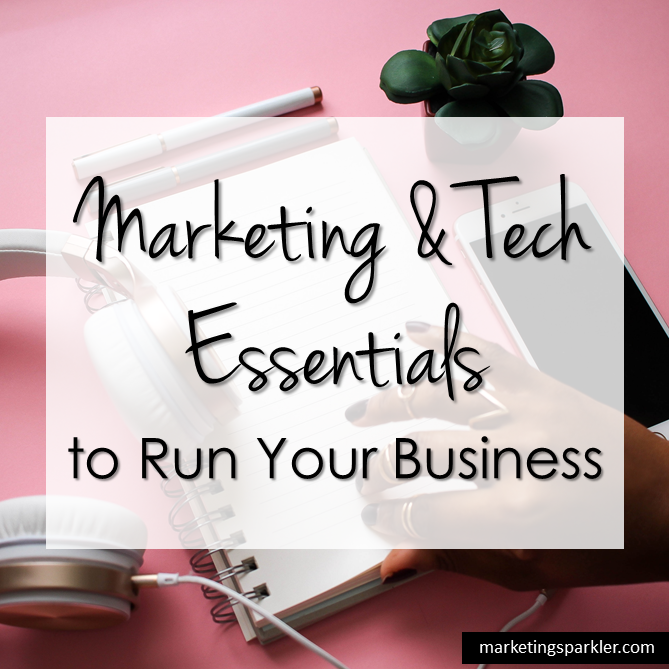 Let’s look at four marketing and tech essentials that every business can use today. One of the most frustrating things about social media marketing is content upkeep. Sure, there are widely accepted optimal posting time frames, editing tools, and popular hashtags. But most busy entrepreneurs don’t have the time to spend on keeping up with them all. Many businesses outsource social media management for obvious reasons. If you decide to manage your social media in-house, time-saving tools are a must. The most productive solution is to plan out content in advance, and schedule posts through platforms like Hootsuite, which is free (to a degree). You can connect multiple social channels and send out posts on specific days and times you choose. This will help to keep your brand messaging consistent. Additionally, apps like Planoly allow you to visualize and map out your Instagram feed prior to posting. This app helps you curate a pleasant, eye-catching feed of scheduled posts, complete with hashtags. The next essential revolves around the main source of content for most, if not all, of your marketing campaigns – images. Creating imagery for your social channels or website doesn’t necessarily require an expensive Adobe subscription or graphic design fluency. Sites like Canva and Stencil are free to use, and are quite simple in prefabricated, drag-and-drop designs that look every bit as if it were professionally designed. Purchasing stock photography every time you need an image can add up. Utilizing free-use imagery from Creative Commons, Flickr, or Unsplash are often great sources for more stock photos of people, landscapes, and buildings. If sourcing and editing graphical content is out of scope for your expertise, hiring a freelancer for a project can sometimes be more cost efficient. Just make sure they have good reviews, and you communicate project deliverables clearly. Customer relationship management refers to technology that businesses use to manage their relationships with current and potential customers. The purpose is to increase customer retention in order to maintain lucrative relationships and drive more sales. CRM software enables the everyday business owner to spot trends and monitor changes. They can analyze historical customer data and feedback, and test out new marketing initiatives. This kind of software is a worthy investment for your company, and should be on your marketing and tech essentials list, no matter the size of your company, large or small. Small business owners don’t necessarily need to shell out for expensive software, either. Affordable options like Insightly, Nimble, and Batchbook help owners track and manage customer information, organize events and orders, and even measure the success of their advertising. No matter what products or services you are selling, customer experience is everything. From a marketing context, measuring metrics like customer loyalty, purchase history, retention and conversion rates, email open rate, and more contribute to a holistic view of what it’s like to shop with your brand, and are key indicators of future sales. No matter what you are selling, customer experience is everything. Are you using a CRM to manage interactions? Nearly 40 percent of small and medium-sized business owners cannot track the ROI of their marketing efforts. Of that group, nearly 70 percent say they are unable to measure their social media results specifically. Social media analytics can be subjective, and frankly, quite confusing. With more businesses using platforms like Facebook and Instagram to connect with more targeted, engaged audiences, the ability to interpret and act on these results is the key to success. Platforms like SproutSocial, Iconosquare, and TrackMaven are affordable tools to collect and organize account and post engagement information, as well as ad performance. The ease of use comes from the format of the reports that are simple to understand. From there, you can gain insight into how well your social channels are performing, as well as opportunities for growth. 3 Affordable marketing tools to collect and organize account and post engagement information, and ad performance. By and large, small business owners are having to adapt to the increasingly tech-focused consumer market. As technology has advanced, so have marketing techniques. This calls for a greater understanding of not only how to use digital marketing tools, but also the potential each has to help your business grow. 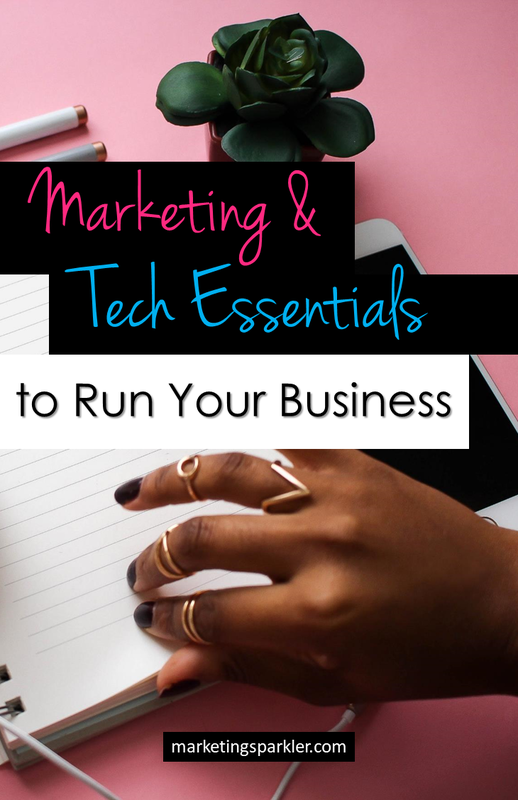 This is a guest post by Maddie Davis, Co-Founder of Enlightened-Digital, a digital magazine dedicated to the top tech and business news, updates and analyses from around the web!